The Estonian Open Air Museum in Tallinn has an extensive collection of traditional wooden buildings from the Estonian country side. 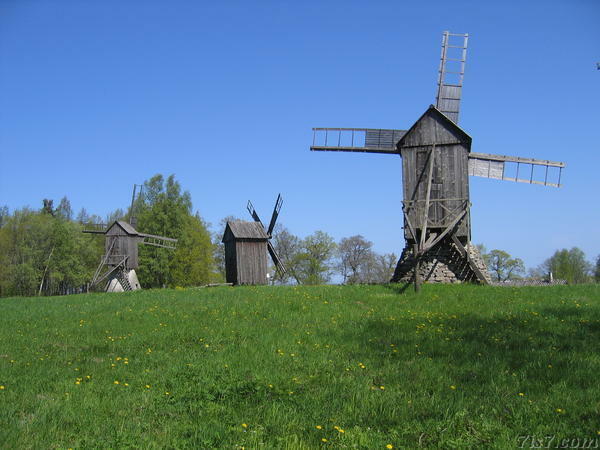 This is a photo of three windmills typical of the Estonian islands. Location: 59°26'13"N 24°38'0"E on: Google Maps, OpenStreetMap, Maa Amet.